HOUSTON (KTRK) -- It may be the find of a lifetime. 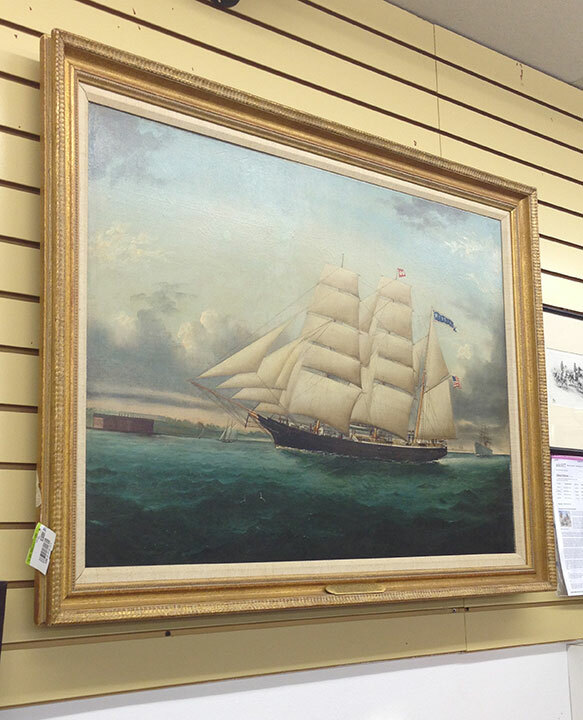 A Houston art collector says a $90 thrift store painting may be a surprise worth thousands of dollars -- maybe much more. Ray Riley says something about the painting caught his eye when he found it at the Guild Shop with a list price of $90. Riley says his research leads him to believe this is a Sigmar Polke, a now deceased German painter. "My next step is going through the authentication process. I am in the process now of contacting a guy over in California for the authentication process," said Riley. Riley thinks the work may be worth a lot of money on the auction block. "We are going through the authentication process and once we complete that, once it's verified and authenticated, we go from the $90 I paid for it the million dollars," said Riley. While Riley waits on official word, back at the Guild Shop Executive Director Gaye Jackson knows a painting recently dropped off is by William Gaye York and worth every penny of the $18,000 price tag. This painting by William Gaye York is worth $18,000. "We found out at auction some of his work has gone had for as much as $64,000," said Jackson. The painting was simply dropped off one day. It's not unusual for the Guild Shop to take in paintings that can be worth big bucks and longtime art browsers are not surprised by the price tag. "I constantly thrift shop, I am always looking for the diamond in the rough that someone might overlook," said amateur collector Rebecca Garcia. As for that Sigmar Polke, if it turns out to be real, we'll let you know.